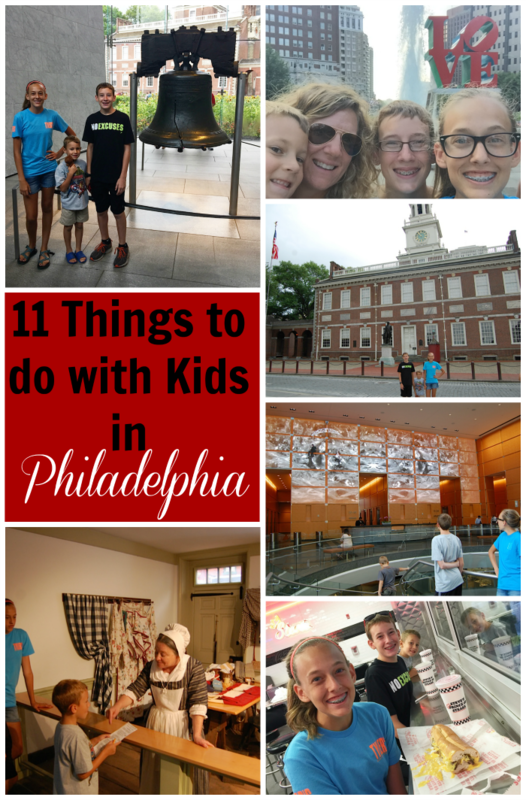 11 Things to Do in Philadelphia with Kids - R We There Yet Mom? 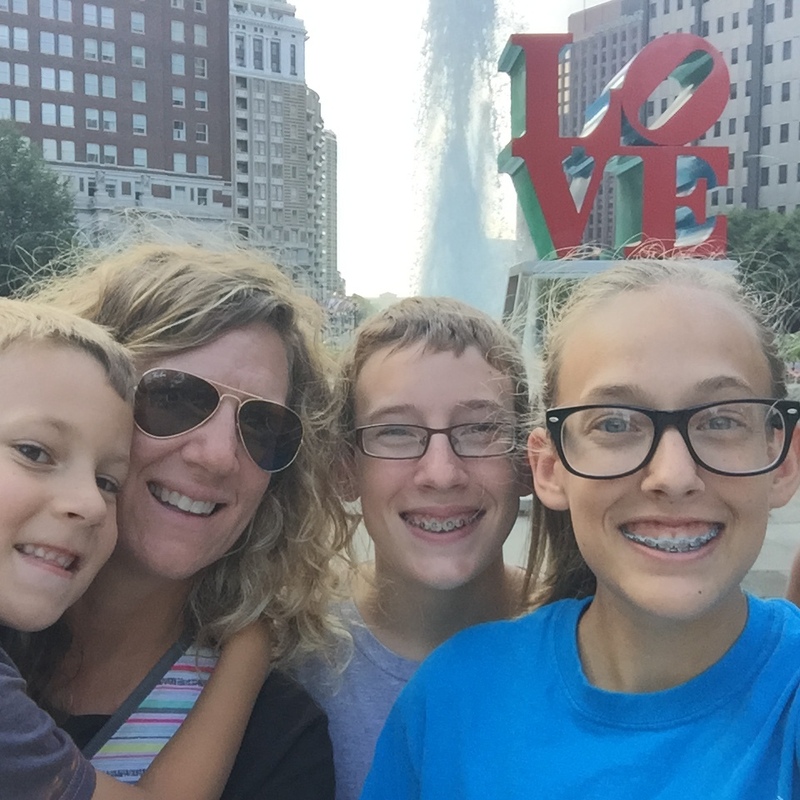 This past summer, we discovered fun things to do in Philadelphia with kids on our 5 week Austin2Boston road trip. 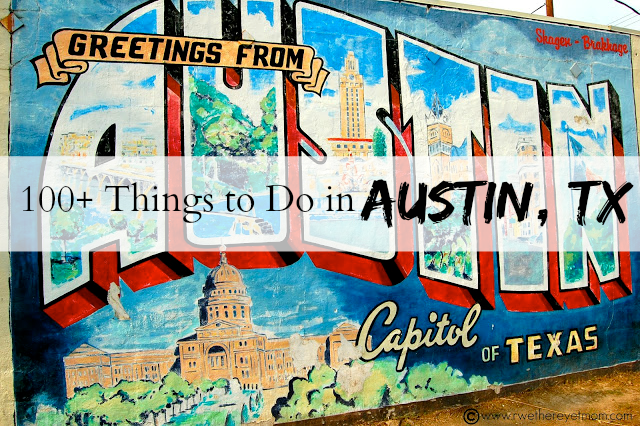 We fell in love with the city, as there is so many historical, fun things to do there. 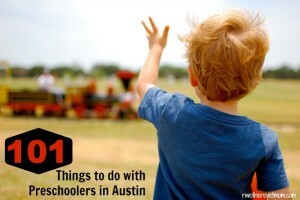 It’s absolutely worth a visit with kids and if you have a few days, here are the things we would recommend doing. 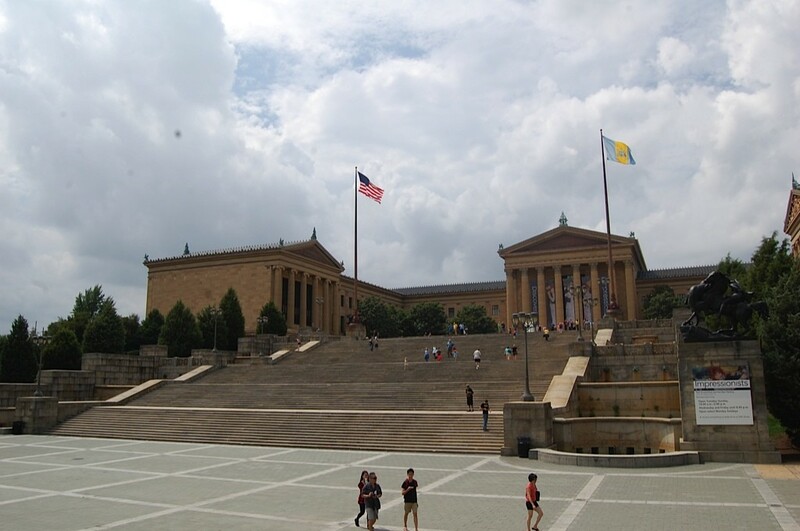 Philadelphia has always been on my list to visit. Not just because of the vast amount of history that comes out of this amazing city, but because of the cheesesteaks. Ok, maybe I’m kidding. (Not really, the cheesesteak was amazing!) 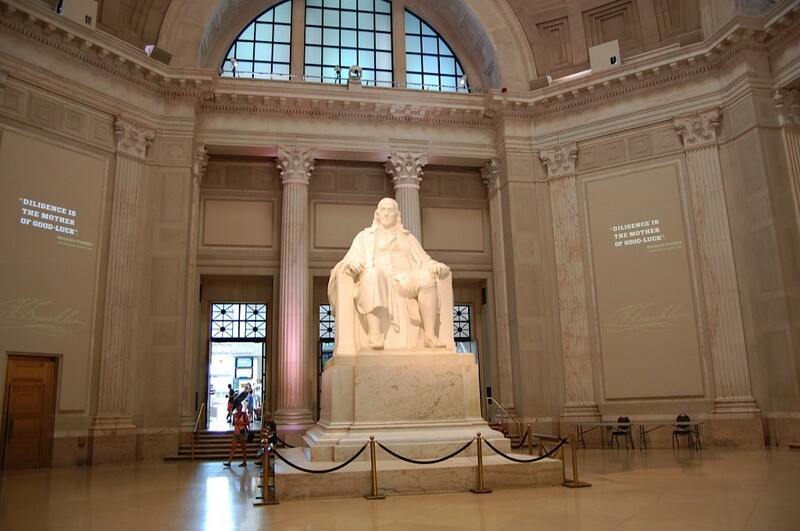 There really is so much to do in the city of Philadelphia that it is hard to narrow it down to a list of 11 things. 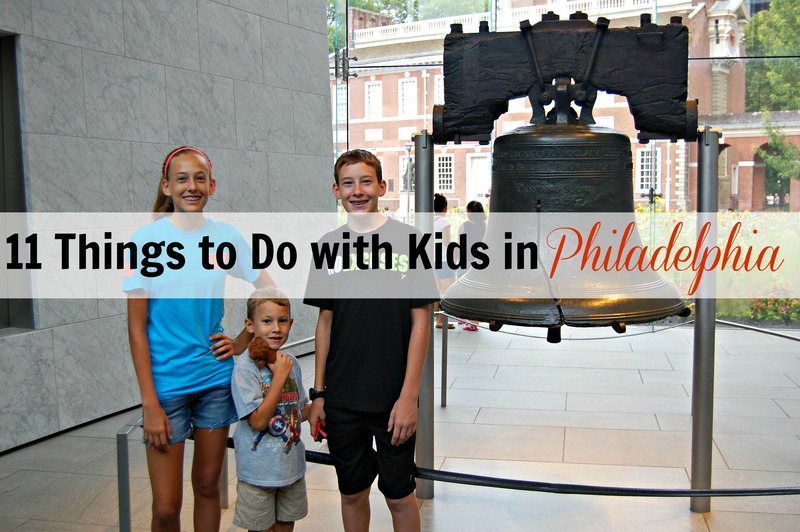 But if you only have a day or 2 in Philly, these are the things we would recommend doing with kids. 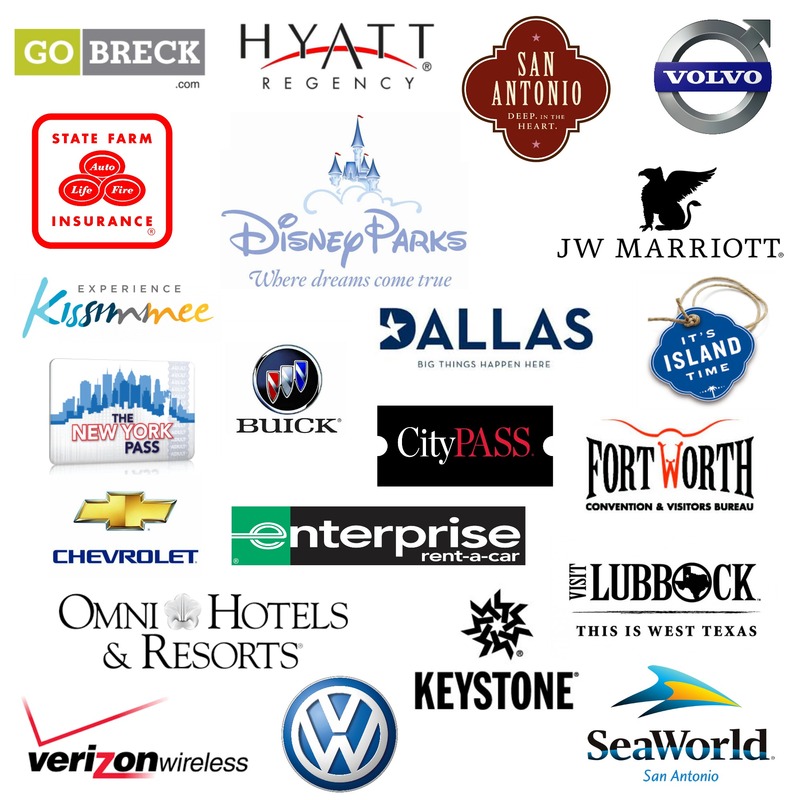 We like to start our introduction to any new city with a tour to get an overview of where everything is located. It’s also a great way to learn about the city through fun antidotes and stories. We took the Big Bus Tours, as it’s a hop on/hop off tour that goes all over the city. We found ti to be the perfect way to get from site to site. 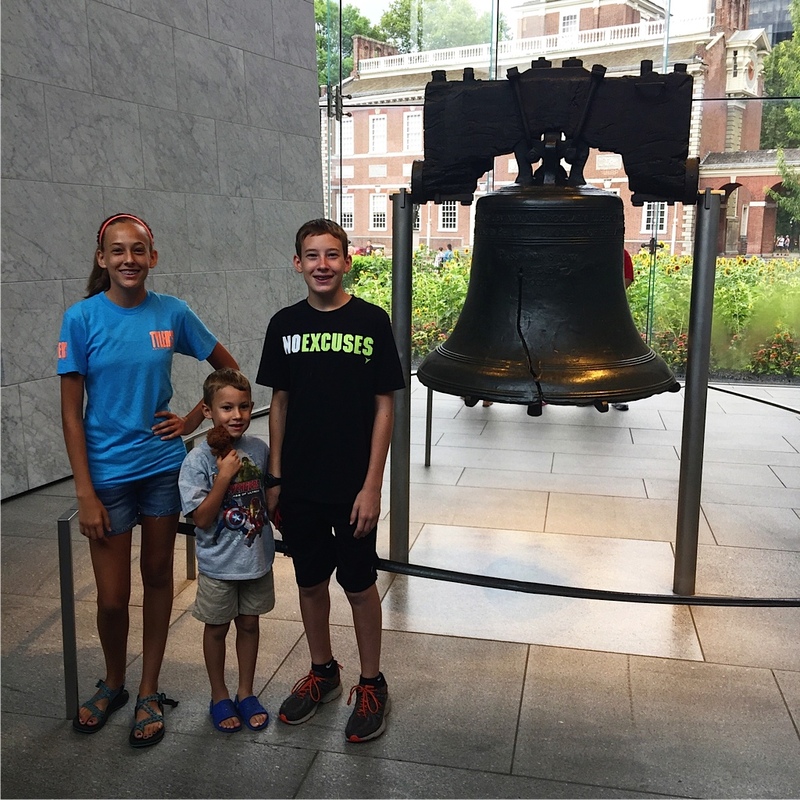 You can’t come to Philadelphia and not see the historic Liberty Bell – the iconic symbol of America’s independence, it was rung when the Declaration of Independence was first read. The Center itself hosts historical documents and a great fun zone for children to learn from Park Rangers about the bell. The center is free to walk through and of course, you must get your photo taken with the bell. 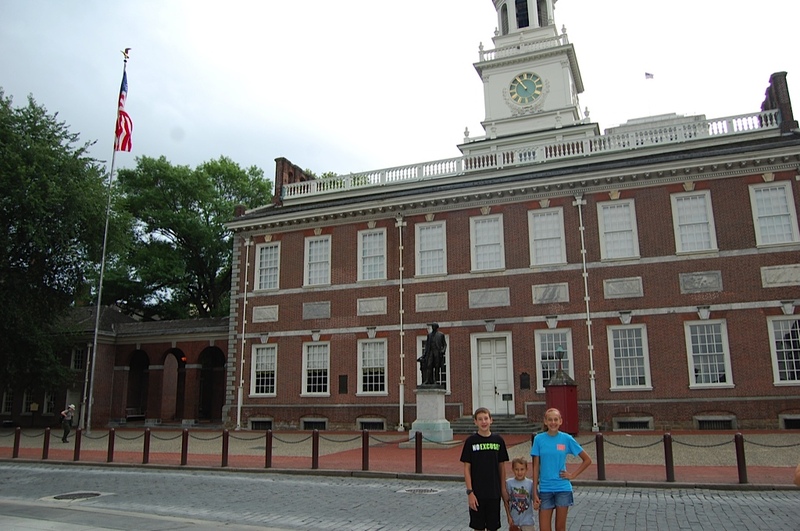 The “birthplace of America’s Independence” is a must-see for every child. 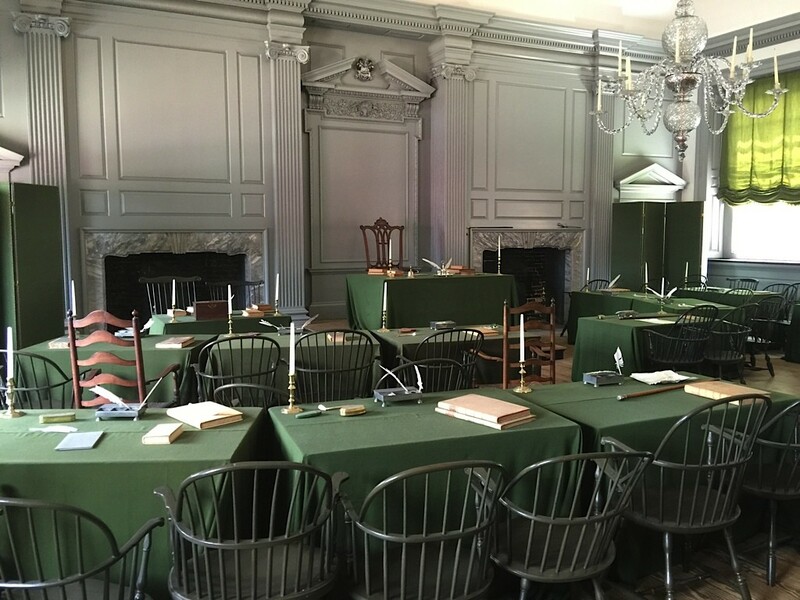 You can get free tickets for a timed tour (the only way to go in) and hear the story of how the Declaration of Independence was developed. I’m not going to lie, I had chills standing in the room where the Continental Congress met to create & sign the Declaration of Independence. It’s just that cool. 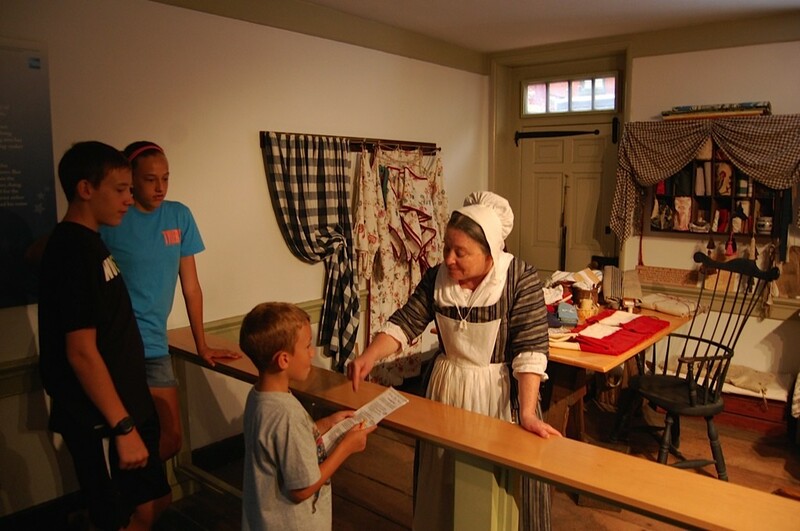 Another famous “birthplace” – this one for the American Flag, you can tour Betsy Ross’s home and meet Mrs. Ross in her workshop. She tells you about she convinced George Washington to use a 5-pointed star. Also, there is a fun scavenger hunt for kids. During the summer, you can find Once Upon a Nation storytellers in the courtyard. 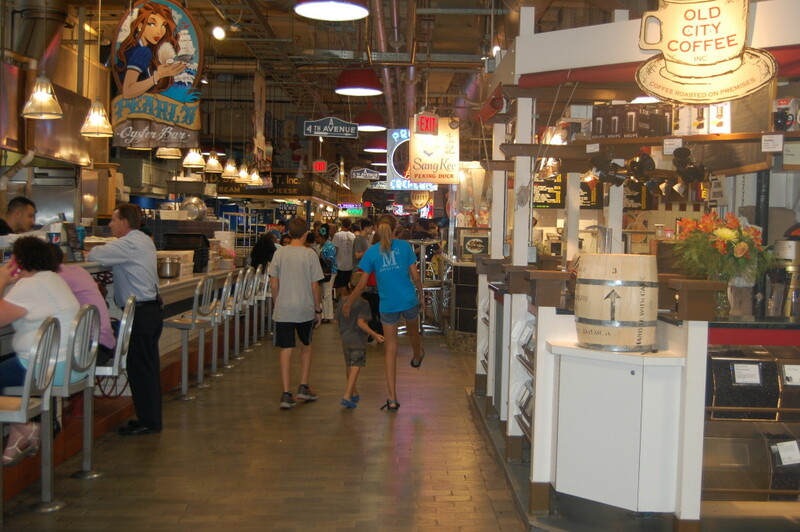 America’s Oldest Farmer’s Market is located in downtown Philadelphia and is another must-see. Here you can see & taste eery type of cuisine you can imagine. We loved walking up & down the aisles and discovering things we had to try, like Beiler’s Bakery donuts, Bassett’s Ice Cream, and more. 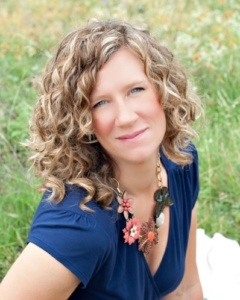 We spoke with a soap maker who had been selling her homemade soaps for over 20 years! You could honestly spend hours here. One of the stops on our Big Bus Tour was The Franklin Institute, an incredible hands-on science museum that is the perfect spot for kids. 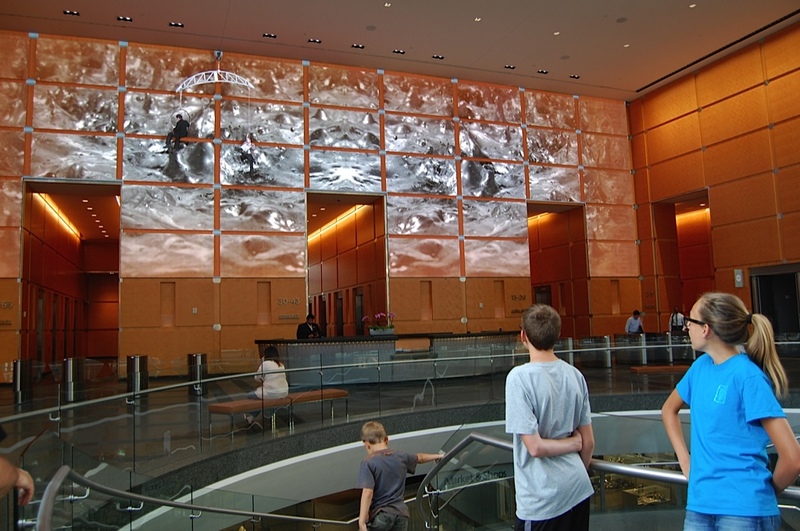 Our favorite exhibits included the SportsZone, full of interactive exhibits that demonstrate the physics of sports, and Your Brain, a high-tech exhibit that shows in large-scale ways how your brain works. This is a fantastic children’s museum. Another cool children’s museums in Philadelphia, the Please Touch Museum encourages lots of hand-on learning & play. Geared toward ages 1-7, it’s perfect for younger kiddos to roam freely. We didn’t have the chance to visit this museum simply because we ran out of time, but it was worth the mention if you are looking for something for the younger set of kids. 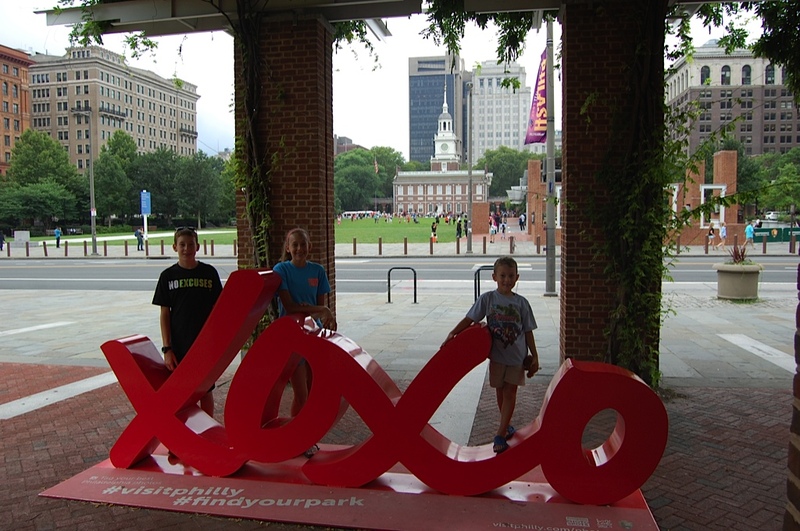 We took a quick walk around downtown Philadelphia when we first arrived and found the LOVE sculpture that we knew we needed to get our photo taken with. This much loved park was filled with street entertainers and great places to sit and enjoy the sunshine. LOVE Park is getting a much-needed facelift and will be closed thru Spring 2017. The LOVE sculpture has been moved to the Dilworth Park across the street while it is closed. Not as well known as the places listed above, we discovered this cool spot based on a recommendation from a friend. If you are downtown, it is worth a stop at the Comcast Center to see the Comcast HD Experience Video Wall in the lobby. We were mesmerized by the videos on the world’s largest LED screen and it proved to be a great place to cool off and rest. You can also see Winter Garden sculpture up above you. Of course, this list would not be complete without the mention of trying a Philly Cheesesteak. 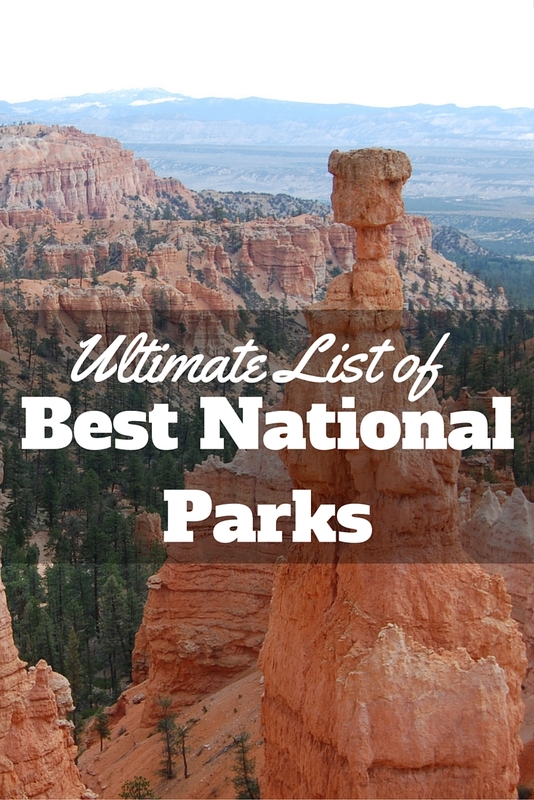 Now there are so many places to try one, the list can be overwhelming. If you don’t mind standing in a line and eating outdoors on picnic table, then we recommend trying one at Geno’s Steaks – open 24 hours a day. We opted to try Steve’s Prince of Steaks due to location and we were not disappointed. 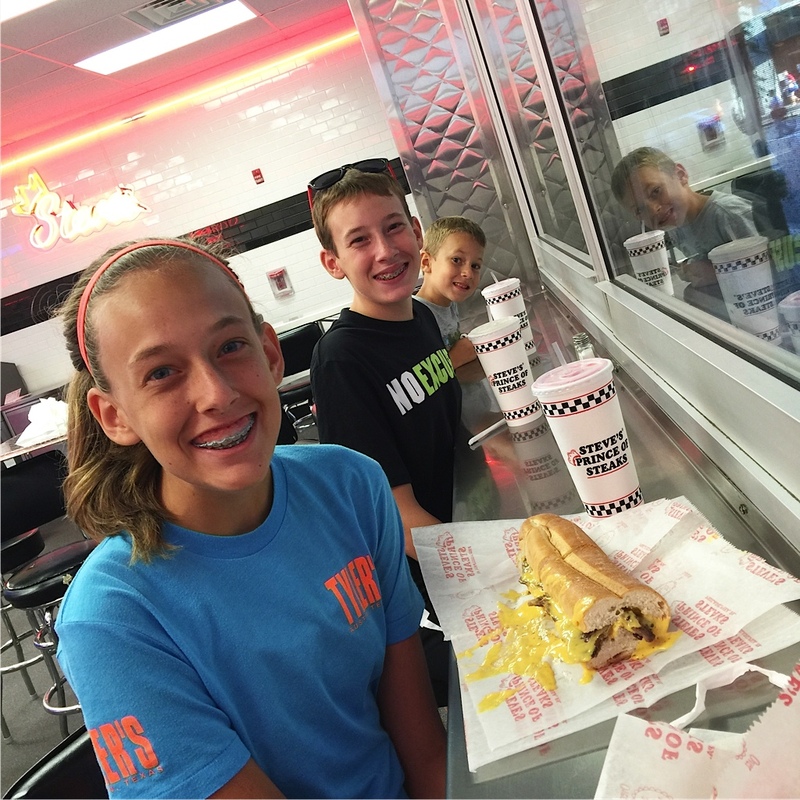 Here’s a great resource to finding the perfect cheesesteak in Philly. I really can’t recommend visiting the city of Philadelphia enough, especially if you have teens who are learning about American History. Being able to see where this important history occurred brought it to life for my older two. It’s definitely a city they will not forget. Great tips! Just pinned your post for our trip to Philly in late Spring. The monkeys are going to have a blast! !